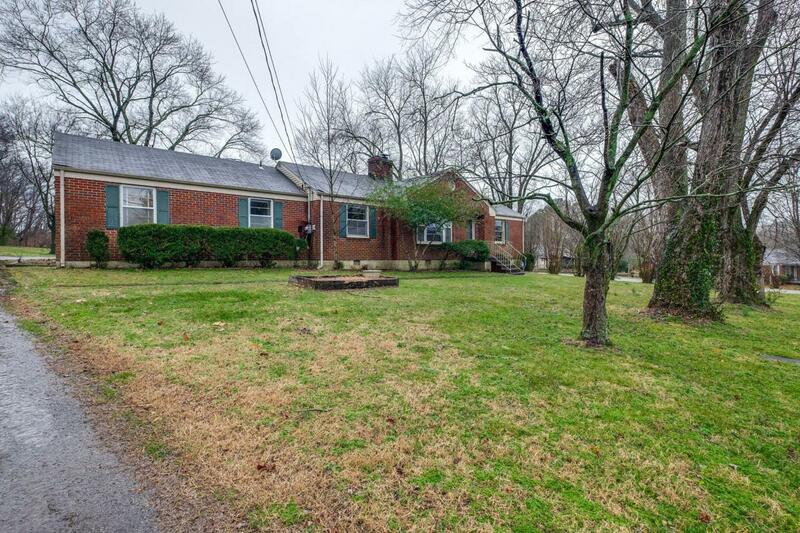 MID-CENTURY BRICK RANCH SITUATED ON .47 ACRE CORNER LOT. 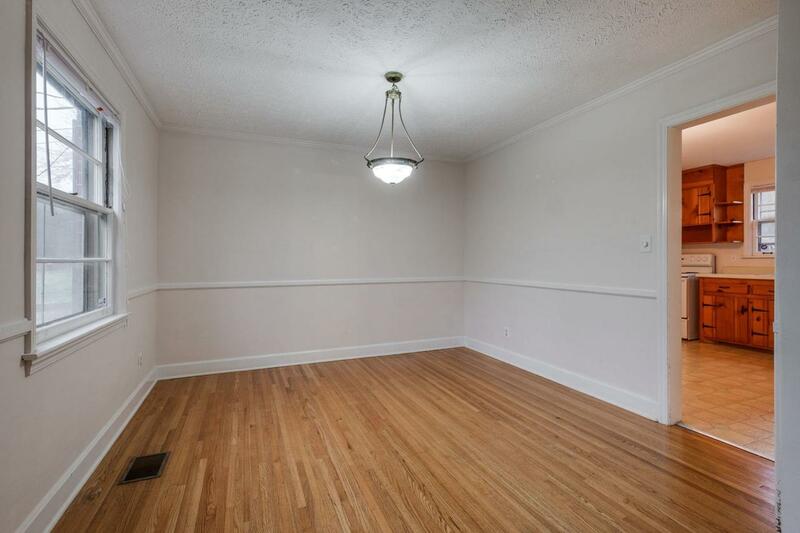 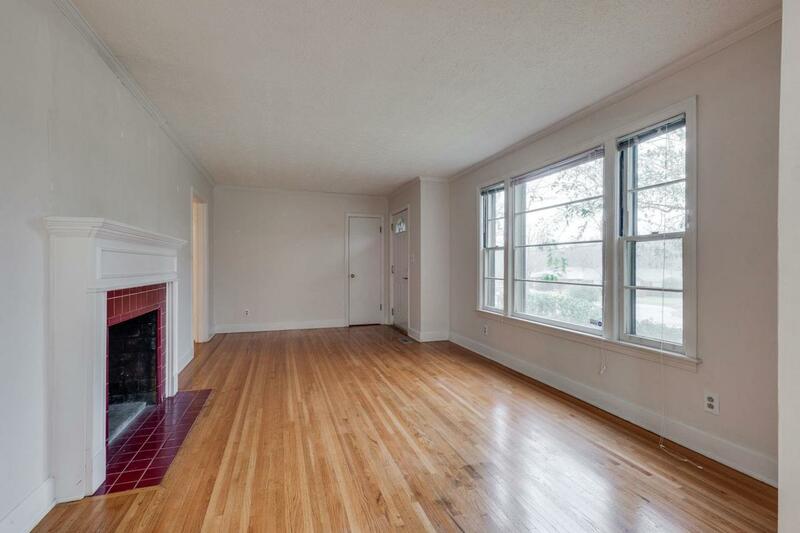 HOUSE FEATURES HARDWOOD FLOORS, ALMOST PERFECT ORIGINAL KNOTTY PINE KITCHEN CABINETS, CENTRAL HVAC, SEP DEN/REC ROOM, ATTACHED GARAGE (WORKSHOP) WHICH IS UNFINISHED BUT COULD EASILY ADD SQ. 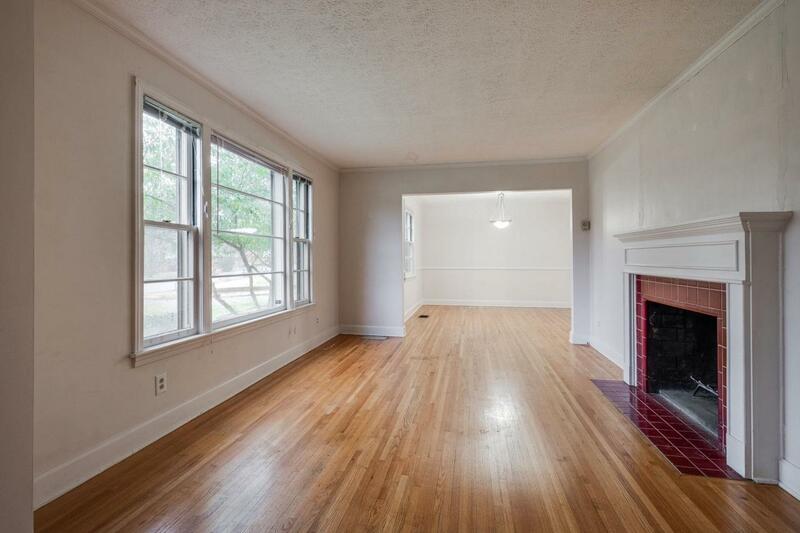 FT. TO HOUSE, CARPORT AND FP IN LIVING ROOM.